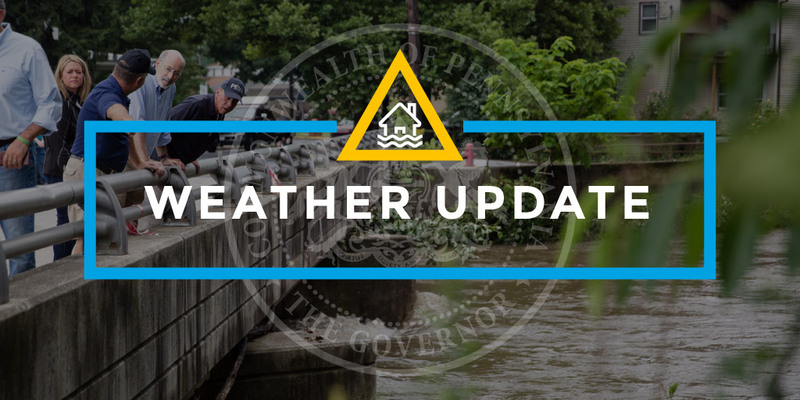 Governor Tom Wolf provided an update on yesterday’s flash flooding. 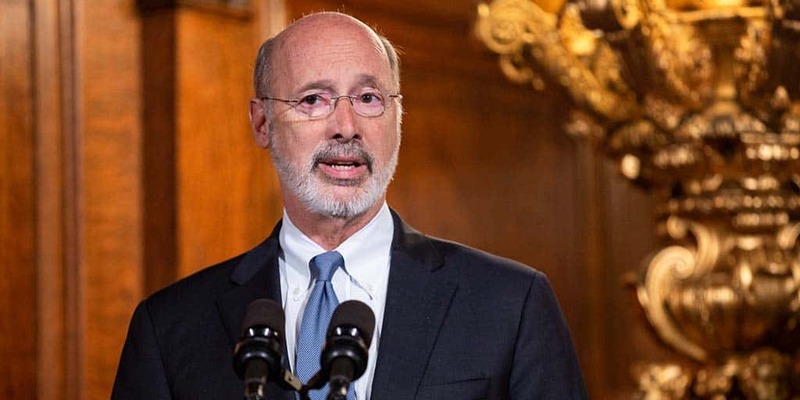 Governor Wolf released the following statement reaffirming his support for the Grand Jury’s recommendations and calling on the General Assembly to take action. 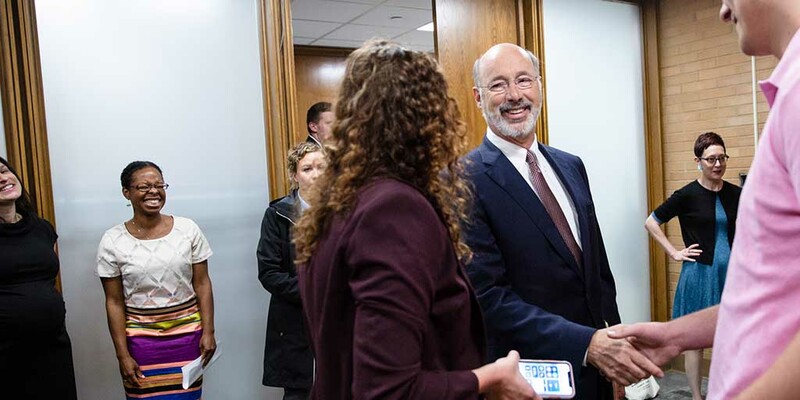 Governor Tom Wolf announced new funding to make improvements to academic facilities at Thiel College, a key educator and employer in Mercer County. 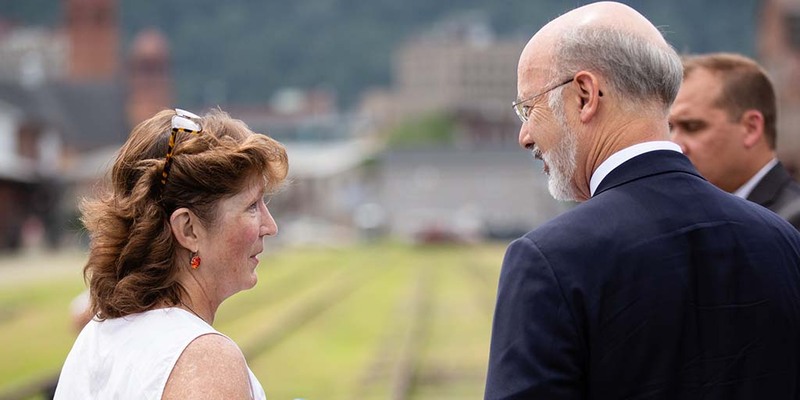 Governor Wolf announced new funding to redevelop the 48-acre IAC brownfield site in Carlisle Borough, Cumberland County. 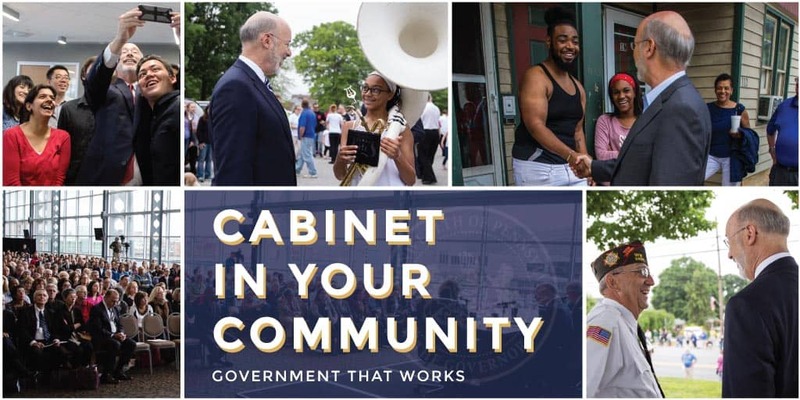 Wolf Administration cabinet officials were joined by community members for a Cabinet in Your Community event in the City of Franklin.